A UN-SADC meeting on implementation of the DRC 31 December agreement (Photo: MONUSCO/Michael Ali). Many of the conflicts in Africa today are resumptions of earlier conflicts. These conflicts, therefore, reflect a breakdown, to some degree, of previously negotiated peace agreements. A review of the experiences from three of these cases—Lesotho, Burundi, and the Democratic Republic of the Congo—offers lessons that can help inform future such accords. 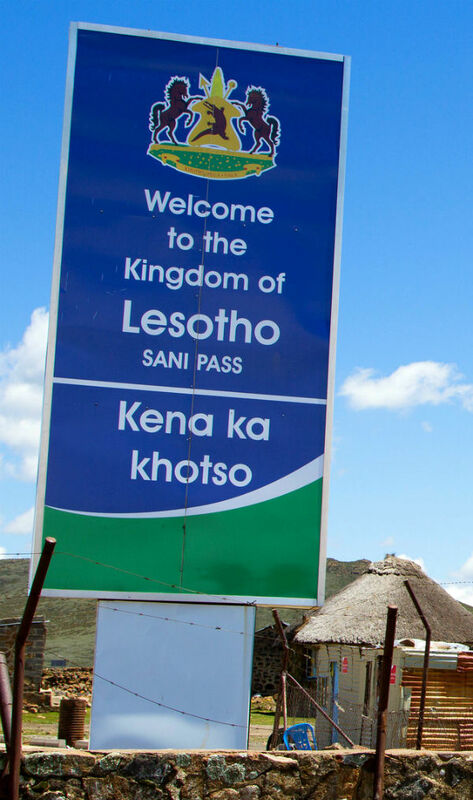 For decades, Lesotho’s political system used the first-past-the-post electoral system as a means of selecting leaders. Owing to poorly designed voting districts, this method generated outcomes where winning parties gained a disproportionate share of parliamentary seats and left losers without representation. Lesotho had already experienced coups in 1970, 1986, 1991, and 1994 when the 1998 elections sparked yet another crisis as a result of the then–ruling Lesotho Congress for Democracy winning 79 of 80 parliamentary seats despite garnering only 60 percent of the vote. Anger over this lopsided result culminated in a violent coup attempt and weeks of fighting between soldiers linked to the opposition and regional peacekeepers. The Southern African Development Community (SADC) established an Interim Political Authority (IPA) to oversee reforms that would break Lesotho’s cycle of instability. Among them was adoption of a mixed member proportional (MMP) electoral system that expanded parliament to 120 seats—80 contested through first-past-the-post voting (tied to constituencies) and 40 filled using proportional representation—to ensure that the number of seats held by each party would more or less reflect its proportion of the national vote. The MMP was intended to compensate for the underrepresentation of political parties seen in the previous system, a key driver of the crisis in 1998. The 2002 polls, the first to implement the new process, saw a significantly higher voter turnout, gave smaller parties a voice in government, and introduced more equitable representation. The new system also limited single-party dominance by creating incentives for competitors to create coalitions once elected. Despite these reforms, Lesotho saw an election marred by allegations of massive fraud and violent riots in 2007, a coup attempt in 2014, the attempted assassination of Prime Minister Tom Thabane in 2015, the murder of two army chiefs of staff and several senior police officers in 2015 and 2017, and numerous clashes between elements in the army and police loyal to political factions. What happened? Politicians began to find loopholes in the new rules that allowed them to manipulate the electoral system to gain greater control of government than was allowed. For instance, one provision of the SADC-negotiated system stipulates that the more first-past-the-post seats a party wins, the fewer it can earn through proportional representation. Thus, bigger parties began to forge coalitions with smaller surrogates and fraudulently field the same people on two separate ballots. This undermined the integrity of the entire system and the legitimacy of election results. Another frequently used tool is “floor crossing”—when members switch party allegiances on the floor in Lesotho’s highly factional parliament. Through floor-crossing, disgruntled members can punish their parties by depriving them of numbers, engineering new opposition coalitions—most of them short-lived—and forcing elections. Members of the military aligned to different factions are often background players in these schemes, pledging allegiances on party lines and preferred election outcomes. In Lesotho, floor-crossing has been a fundamentally destabilizing tactic that has led to the collapse of three governments since 2012. The result has been political leaders effectively operating under the old rules in the pursuit of power. The August 2000 Arusha Peace and Reconciliation Agreement sought to put an end to Burundi’s recurring episodes of conflict, including two genocides and a 13-year civil war that killed more than 300,000 civilians. Its protocols on power sharing, checks and balances, equitable participation in government, and equal representation in the military were designed to encourage coalition-building across ethnic lines, minority overrepresentation as a security provision, and accountable governance. The idea of imposing institutional caps to discourage the concentration of power in a single party was borrowed from the Lesotho model, and indeed, some of the drafters of the IPA arrangements also drafted the Arusha Accords. Under the new system, the ruling party and its allies cannot control more than 67 percent of central and local government posts and 60 percent of national institutions even if they secure majority votes. In the military, not more than 50 percent can be drawn from any one ethnic group in view of the need to achieve ethnic balance and inclusion. Furthermore, Arusha empowered the Ministry of Defense to assert independence in policy and operational and management decisions. In 2013, the ministry objected to a government decision to declare a state of emergency in response to unrest in opposition areas. It argued that the declaration was politically motivated and carrying it out would damage the credibility of the military. The ministry ultimately refused to implement the order. During the 2015 protests over President Pierre Nkurunziza’s quest for a disputed third term, the ministry advocated for freedom of assembly and respect for the Arusha Accords. Military members frequently positioned themselves between protesters and the police. While the Arusha Accords are widely credited with advancing peace, stability, and reform in Burundi for more than a decade, the situation has sharply deteriorated since 2015. 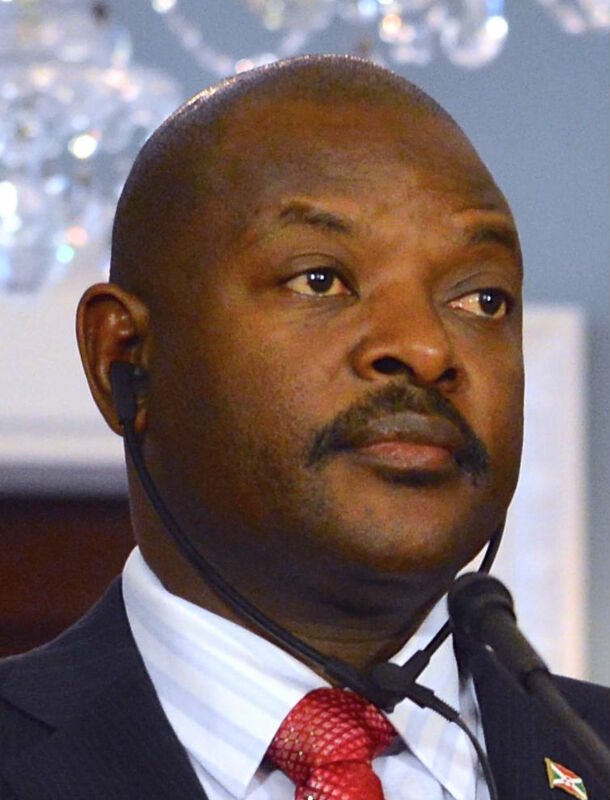 The crisis triggered by Nkurunziza’s pursuit of a third term generated protests, a failed coup, thousands of deaths, and the discovery of several mass graves. Government officials are being investigated for crimes against humanity, and more than half a million citizens have fled the country or been internally displaced. The first signs of trouble in Burundi appeared in 2006, just a year after the Implementation Monitoring Committee wound up its work. Elements of the military, intelligence, and police carried out a wave of targeted killings in an attempt to suppress opponents. This pattern would repeat itself in 2008 and in the run-up to the 2010 and 2015 polls. In 2016, a state commission aligned with the ruling party recommended the lifting of presidential term limits and reverting to a majoritarian system—effectively dismantling the Arusha Accords. The changes would allow the ruling party to gain majority control at the local, provincial, and national level. Other changes dilute the independence of the Defense Ministry, give the ruling party greater control over the force, and create auxiliary forces that many fear provide a cover to formally integrate the state-sponsored ethnic militia, the Imbonerakure, into the security sector. These sweeping changes were put before a referendum on May 17, 2018, despite warnings by the African Union (AU) that the breakdown of these Accords would lead to civil war. Regional guarantors that helped shape the Arusha Accords and usher in their implementation have, however, failed to act to stop them from unraveling. The United Nations and African Union have condemned the government’s moves and accused the Imbonerakure of conducting widespread mass atrocities. Yet, little action has been taken to back up their reproaches. In January 2016, the AU reversed an earlier decision to deploy a protection force into Burundi to avert mass atrocities following the killing of more than 300 people in a single day in the capital, Bujumbura. Both the AU and UN have failed to secure the consent of the Burundian authorities to deploy unarmed police units to create a protective presence on the ground short of deploying a peacekeeping force. The UN closed its political mission in 2014, and peace talks led by the East African Community remain frozen largely due to disagreements among member states. The upshot has been that the ties intended to sustain the Arusha Accords have been insufficient to withstand the pressures to break out of the agreement. The 2002 Sun City Accords that negotiated the end of the Democratic Republic of the Congo’s devastating civil wars created a powerful legislative branch to act as a crucial check on power of the executive branch and overcome the legacy of kleptocratic rule dating back to DRC’s independence. The government at the time was a minority in the new parliamentary set-up, with 94 out of 500 seats. The rest were held by opposition parties and civil society, with the former controlling the strategic Office of the Speaker and the latter the oversight committees. Because of its minority status, the ruling party was forced to build coalitions. By the end of the Accords’ interim period in 2006, a culture of accountability was taking root, with the new parliament starting to conduct rigorous oversight of the presidency. By early 2009, parliamentarians had raised more than 43 oral questions of government officials and state-owned firms, prompting 28 independent investigations into misconduct. By the middle of 2009, loyalists of President Joseph Kabila had contrived to remove the Speaker to frustrate investigations into the executive branch. The next year, they were able to increase their share of seats to 341 through gerrymandering and patronage. This supermajority allowed them to then push through a raft of partisan bills tilted in Kabila’s favor, including a bill scrapping the two-round runoff rule and another allowing Kabila to remain in office if elections were delayed. The former allowed Kabila to win the 2011 polls with just 49 percent of the vote while the latter provided a veneer of legitimacy for his continued stay in office after his second term had expired in December 2016. The Constitutional Court called for in the Sun City Accords only became operational in 2015—10 years after its creation. 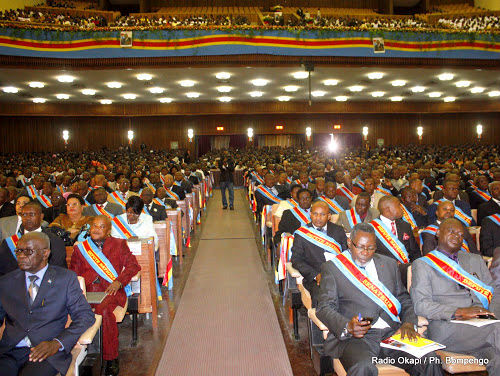 All of its judges are Kabila loyalists (three elected by him, three by the regime-dominated parliament, and three by the judicial council, which is staffed by ruling party cadres). In 2016, it ruled that the bill allowing Kabila to stay in office in case of a poll delay was constitutional. That same year, the Supreme Court allowed him to appoint governors to 26 new provinces created under a 2006 constitutional provision to divide the country’s 11 provinces. Its sudden and chaotic implementation 10 years later guaranteed that elections would not be held on time. When Kabila predictably refused to step down at the end of his two-term limit, it galvanized many of the estimated 70 armed groups currently active in anti-government strongholds in the east, Kasai, and Katanga and has sparked widespread protests and government crackdowns. A key takeaway from this review is that successful peace agreements are anchored on leaders honoring their commitments. This was the case in the South African, Namibian, and Mozambican peace processes. However, such committed leadership cannot be assumed. In Lesotho, Burundi, and DRC, political leaders methodically dismantled key elements of the agreements that they saw as impediments to their pursuit of power. Regional and international partners, in turn, failed to enforce the peace processes’ provisions when these were being violated. This underscores the indispensable role that external guarantors play in the years after an agreement is signed. This is more than a perfunctory responsibility. Given the tendency of political elites to challenge new norms and revert to entrenched legacies of malpractice, institutional strengthening and robust oversight are fundamental ingredients in the success of peace agreements. Yet, nearly all countries emerging from conflict have weak institutions. Peace agreements, therefore, must be explicitly bolstered and protected against anticipated executive branch interference. In short, domestic political actors will want to test these limits. Experience shows that clear, early responses from guarantors to these tests is warranted to keep peace processes on track. Agreements should include strong protections of civil liberties since civil society and the media play a critical role in providing domestic oversight and upholding institutions. Restrictions on civil society and the media, therefore, should be an early warning signal to external actors of threats to the implementation of the peace process. Protections of civil liberties should be accompanied by clearly defined and strict term limits for political leaders. Such limits are especially important in these early years when norms of succession have not yet been established and restraining institutions are weak. Another important lesson that emerges from these cases is that successful consolidation of peace agreements takes time. Early progress is not a guarantee of long-term success. As sustaining the peace process relies on resilient institutions, success requires ongoing engagement by domestic, regional, and international actors. This consolidation process typically requires at least a decade. Regional enforcement through collective action may appear cumbersome. However, as the cases cited above show, inaction opens the seam for the unravelling of the rest of what may be a well-knit peace agreement. The cost of this inaction, moreover is invariably higher—for the designated country and its neighbors. Africa Center for Strategic Studies, “Term Limits for African Leaders Linked to Stability,” Infographic, February 23, 2018. Peter Fabricus, “Is SADC at Last Flexing Its Muscles in Lesotho?” Institute for Security Studies, ISS Today, October 15, 2017. Africa Center for Strategic Studies, “The Role of External Actors in the DRC Crisis,” Spotlight, January 12, 2017. Africa Center for Strategic Studies, “The DRC’s Oversight Institutions: How Independent?” Spotlight, October 5, 2016. Kristina A. Bentley and Roger Southall, “The Arusha II Negotiations: From Nyerere to Mandela” in an African Peace Process: Mandela, South Africa and Burundi, Human Sciences Research Council of South Africa, 2005.